It has been estimated that the medical cannabis export market could generate a billion shekels ($270 million, 240 million euros) per year in additional state income. 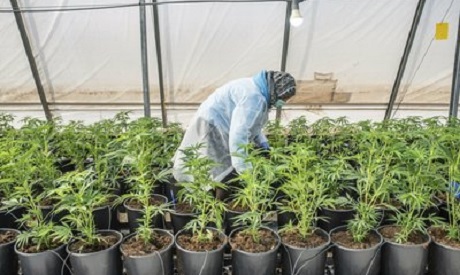 The Israeli government on Sunday gave the final go-ahead for the export of medical cannabis, the health ministry said, a move expected to generate significant revenues for the state. "Israel is one of the leaders in the world in the field of medical cannabis," Moshe Bar Simon Tov, director general at the ministry, said. "Our know-how in this area allows us to supply high-quality products for export." The approval comes after parliament in December passed a law allowing overseas sale of cannabis grown with a health ministry licence. There are currently a handful of companies in Israel growing medical cannabis, with many more awaiting to receive permission from the authorities. In 2016 Israel approved the use of medical cannabis, and in 2017 the public security ministry partially decriminalised marijuana use, setting fines and treatment for initial use instead of criminal procedures.